Mad Magpie tells the story of Guluu, an angry magpie who is being teased by a gang of butcher birds. The more he is teased, the angrier he becomes. When Guluu seeks advice, his Elders tell him to stay calm like the river, ignore the butcher birds and to be strong on the inside. Written and illustrated by Gregg Dreise. Hardcover. 32 pages. Beautiful colour illustrations. 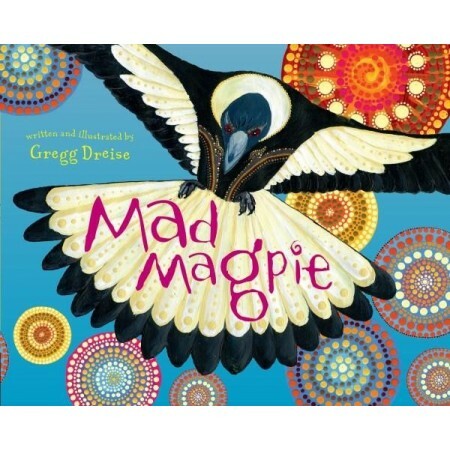 Mad Magpie is the third book in this successful series of morality tales from award-winning author and illustrator, Gregg Dreise. 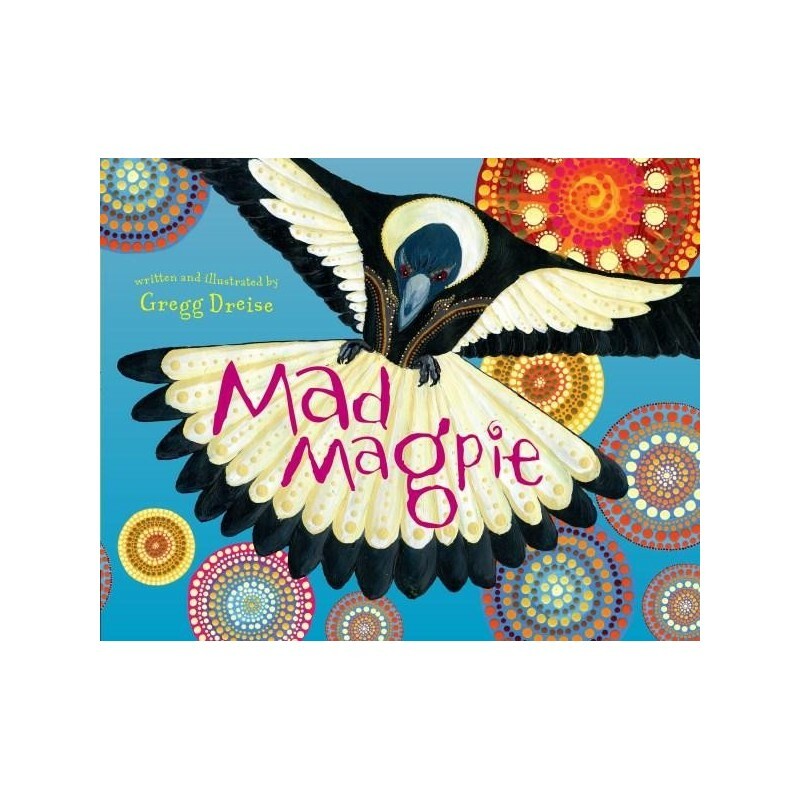 Inspired by wise sayings and the knowledge of his Elders, Mad Magpie tells the story of Guluu, an angry magpie who is being teased by a gang of butcher birds. The more he is teased, the angrier he becomes. When Guluu seeks advice, his Elders tell him to stay calm like the river, ignore the butcher birds and to be strong on the inside. Guluu tries this, but the cheeky birds just laugh at him. One day, when Guluu is at the river looking for worms, the butcher birds arrive and steal his food. He remembers the words of his Elders and he tries again – and this time Guluu has a different outcome. Gregg Dreise is a descendant of the Kamilaroi and Yuwalayaay pepole of south-west Queensland and north-west New South Wales. Gregg is a gifted storyteller and musician, and works as a teacher in the Noosa hinterland in Queensland. Written and illustrated by Gregg Dreise. Hardcover. 32 pages. Beautiful colour illustrations. Dimensions: 21.5cm x 29cm x 0.8cm.